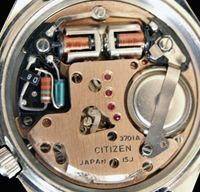 This entry was posted in Vintage Watches and tagged Citizen Vintage Chronographs, Vintage Citizen Watches. Bookmark the permalink. 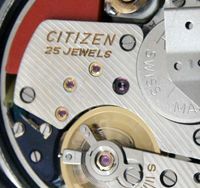 Hi Jennifer – thanks for visiting my blog 🙂 Although my field is the older mechanical watches, I have been asked about a 3220 quartz model before, so I did a bit of research then. 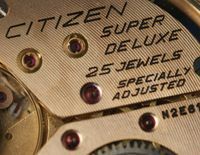 Your watch has a 3220 quartz movement in it which is clearly indicated by the ‘3220’ stamped on the back. 32-9041 is the model number, but I’m afraid that doesn’t result in anything when googled. 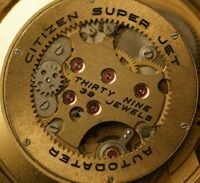 But my earlier research found a 3220 watch which had been engraved on the back, and dated 1986. So, given the serial number on yours – 7107098 – I reckon it’s safe to assume it was made in October 1987. This date is got from the first three digits of the serial number – 710. 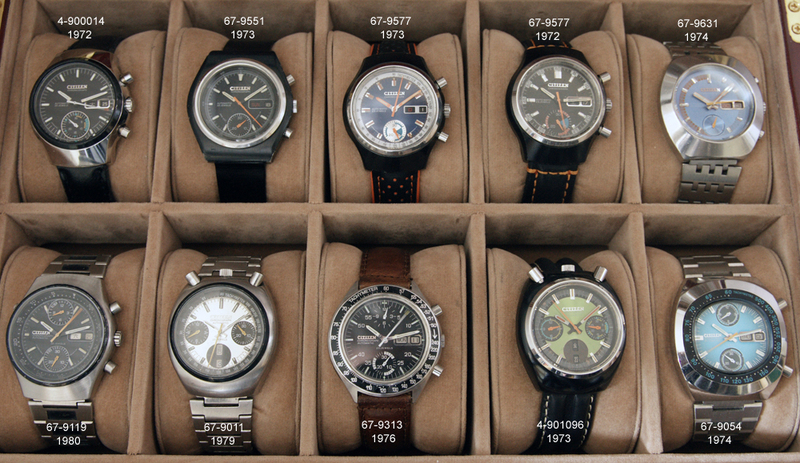 The biggest challenge is to determine which decade a watch was made in. They could of course have been made over two decades! Since the engraved example was dated 1986 then 1987 makes sense for yours. 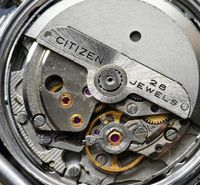 Does that age seem about right from what you know about the watch? I think the time period is about right. I found the watch in a parking lot around that time and have worn it almost daily since. Its been with me from Alaska to South America. Not to mention my wedding too! It works perfectly. As you can imagine it has great sentimental value. Thanks so much for finding all the information for me. You’re the man!